PewDiePie Roasts T-Series and India in his Latest Music Video and Reclaims his Top Spot! A couple of days ago, it seemed like the subscriber war between two of the biggest YouTube channels (PewDiePie and T-Series) was finally over with the Indian music label emerging victorious. The ongoing battle is being billed as “Creators vs. Corporations” and people believe that it will deeply impact the future of YouTube. It was inevitable that the Swedish Youtuber, Felix Arvid Ulf Kjellberg would eventually be overtaken by the Indian music channel. T-Series passed PewDiePie several times during the last two months but PewDiePie always managed to regain the lead in a matter of hours. However, when Felix was passed by T-Series on 27th March, there were no comebacks and the subscriber gap rose to over 100K. However, Pewds wasn’t just going to accept defeat and walk into the sunset. A few months ago, he mentioned a “special video” he had prepared for when he finally gets passed. Enter March 27th, and as it started looking like T-Series has finally ascended to the throne, the leader of 9 year old army uploaded that special music video titled, “Congratulations” (featured below). In the video, PewDiePie and fellow singers/composers took some serious jabs, not only at T-Series but India as well! In the video, the trio of PewDiePie-Roomie-Dave brought up the Caste Issue and Poverty in India. Moreover, articles implying that T-Series started their business by selling pirated songs and that of its head’s (Bhushan Kumar) tax evasion controversy, were also referred. 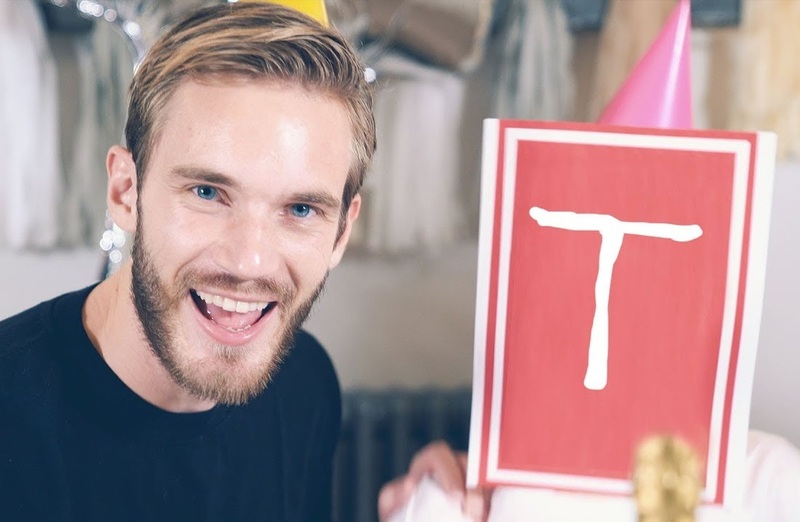 A cease and desist letter was also mentioned, which PewDiePie received from T-Series, accusing the Swedish Youtuber of defamation. Considering the witty nature of Felix, he responded to the letter with a slightly racist remark, “Indians are poo poo in their brains”. The battle has been going on for months now and just when it looked like it was winding down, PewDiePie’s music video came out, which pushed him back to the no. 1 spot. The sub-gap, as of this moment, is over 150K in PewDiePie’s favor. Thing have gotten so intense over the months that even well-established Youtubers such as Logan Paul, Mr. Beast, Carryminati etc. and Bollywood Celebrities such as Salman Khan, Varun Dhawan etc. had to enter the battlefield and voice support for their favorite. It remains yet to be seen how long this drama continues but it looks like the next part of the battle is crossing 100 million subscribers first as both channels head towards 93 million subscribers.